My husband, son, and I were all drooling when we pulled the Pello Romper out of its box. After the number of bikes we’ve tested this summer, it’s amazing that we could still get so excited about a bike, but the Pello Romper managed to do it. As a mountain biking family, we loved the fact that the Romper has seriously beefy tires and looks like a grown-up mountain bike. Combine that with the sleek frame design and gorgeous paint job, and you can understand why the Pello Romper is drool-worthy. Fortunately, my praise of the Pello doesn’t end with the way it looks. The Romper’s child-appropriate geometry and quality components make it a nice ride as well. If you’ve been looking for a top-shelf bicycle for your 3 to 5 year old, the Romper fits the bill. 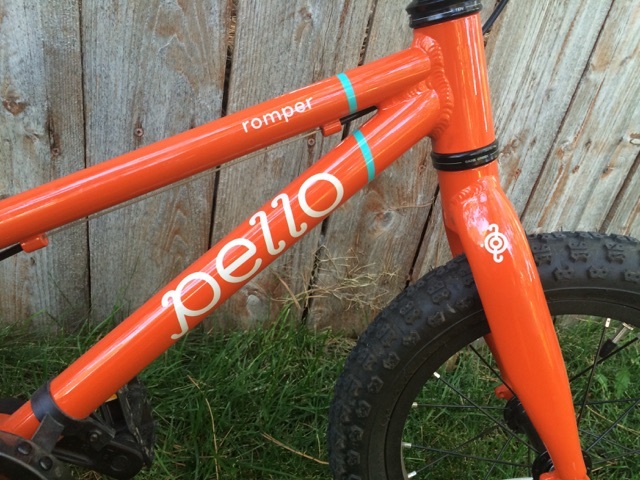 Pello is a newcomer to the kids bike arena, dreamt up by a dad who loves biking. The founder, Shane Cusick, is a “dad and cycling enthusiast who has spent most of his life on bikes and wants nothing more than to share his loving of cycling with his two boys.” That’s right–this is a company by a parent, just like us, who just REALLY loves biking and really loves his kids. I appreciate that these bikes aren’t the product of some big bike company trying to get more market share, but rather of a dad who wants to make great bikes for kids. For parents familiar with the bike industry, you’ll be impressed by the sheer quality of the parts on the Romper. The build boasts Kenda tires, a Cane Creek headset, and a Tektro rear brake. For parents who don’t recognize these names, just know this: the Romper is going to be a smooth ride that lasts for a very long time. If you have a younger child, this bike will make a great hand-me-down. If you don’t, you should be able to fetch a good price when it’s time to sell on Craigslist. 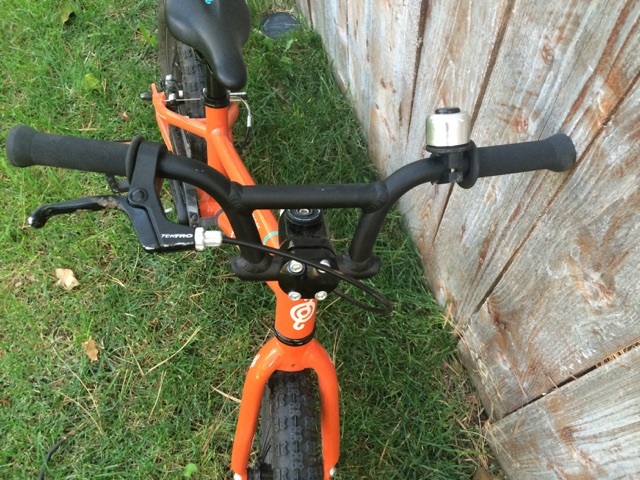 The Romper has a slightly larger, beefier frame than many of the other 14” pedal bikes we’ve tested this summer. It is the perfect size for my just-turned-4-year-old, but may be a bit too large for younger 3-year-olds. I would recommend it for older 3-year-olds or kids in a 4T pant. Because of it’s larger frame, the Romper should comfortably fit kids until their 6th birthday. The seatpost that comes stock with the bike has a minimum seat height of 18.5.” If you need a shorter seatpost, contact Pello directly and they can swap one out for you. For help on measuring and fitting your child to a bike, check out these tips on buying a kids bike. The gearing ratio on the Romper is a bit higher than some of my son’s other bikes. The front chainring has 25 teeth and the rear cog has 14 teeth, for a gear ratio of 1.8. This higher gear ratio means that it is easy for my little boy to get up to speed, and to go FAST. On the flip side, it is a little harder to push up big hills. This is always going to be a trade-off, but it means that the Romper a good choice for strong, aggressive riders and less so for smaller, more tentative kids. While the Romper will work for any child on any terrain, it is obvious at first glance that it is a mountain bike. The Kenda tires on the Romper are fat and knobby, which make them perfect for off-road riding. 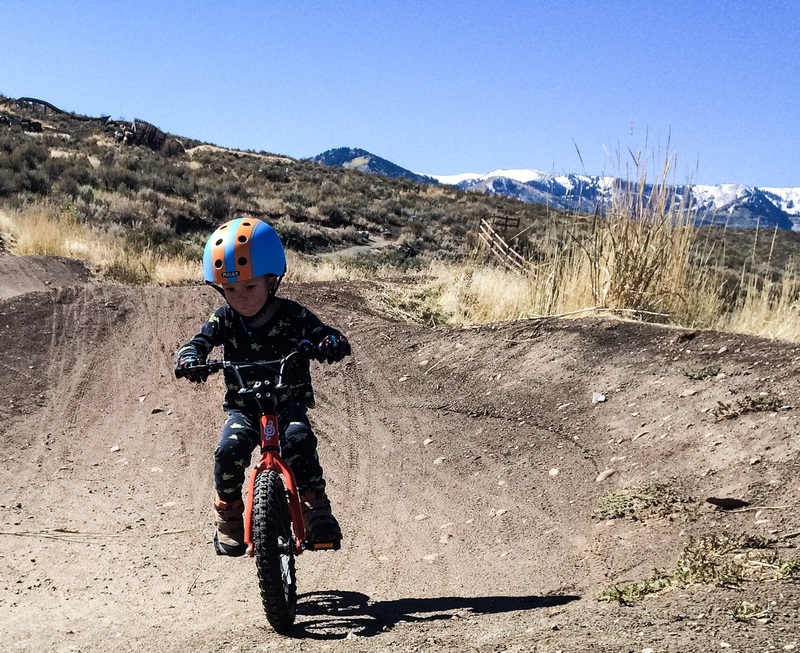 My husband recently took our son up a gnarly trail in American Fork Canyon, and was blown away that he was “cleaning little rock gardens and roots with ease.” We’ve also taken him to the pump track several times with the Romper, and it performs flawlessly. If you are a mountain biking family, the Pello Romper is a great pick. The frame on the romper has clean welds and a classy look. The lightweight aluminum frame makes for a child-friendly ride while still offering a solid build that will last for years. The paint job and decals are really well done, and the bike looks amazing. Hopefully, in the future, the bike will be offered in other colors—it currently only comes in orange. It is a bit of a shocker every time I remember the kinds of bikes most kids are riding. Our five-year-old neighbor has been riding one of these unfortunate big box store bikes with awkward geometry and a heavy build. She’s enthusiastic, but slow and often crashes. The other day, she borrowed the Romper. Night and day, folks. She was rocking and rolling on the Romper. Her riding improved ten-fold simply by getting on a better bike. 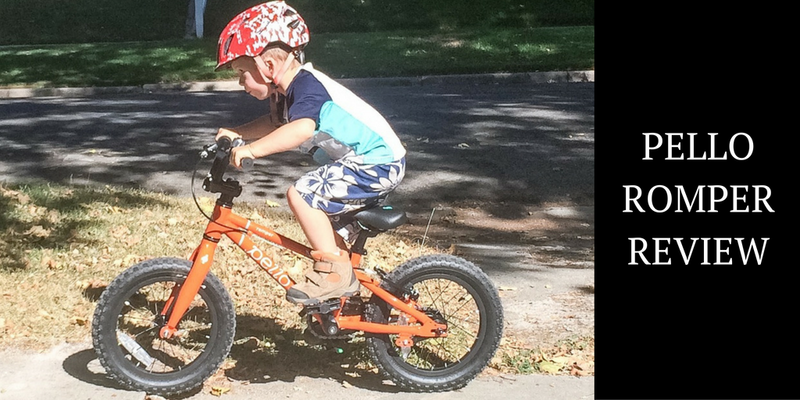 Compared to most kids bikes out there, the Pello is heads-and-shoulders above. It has a long wheelbase, upright geometry, and a low bottom bracket to make it easy to ride for young children. Pello has actually given a name to this design–“Ride Right Geometry”–and worked with a physical therapist to ensure it was optimized for kids. Whereas many 14” bikes weigh 20 pounds or more (!!! ), the Romper weighs only 15. A lightweight kids bike is so important to ensure that the riding experience is fun and safe. If a child is getting frustrated by biking, chances are that their bike is just too heavy. This is obvious with the neighborhood girl who got on the Romper and took off. While the 15-pound Romper is much lighter than most 14” bikes, it is still significantly heavier than the Woom 2 which weighs in at 11.7 pounds. As a mom who often packs my kiddo’s bike in a backpack while on the trails, let me tell you, those extra few pounds are pretty significant. If you have a child who is on the smaller side, or who is going to be riding a lot of hills, you might want to consider looking at a bike that weighs even less (but that will be more expensive). As always, these things are a trade-off. The brake situation is the only thing about the Romper that was disappointing to me. Unlike most of its competitors, the Romper has only a rear handbrake and no front brake. In my experience, even young children are perfectly capable of learning to utilize dual handbrakes, and learning braking skills early will benefit them later on. We are happy to report, however, that since we initially reviewed the Romper the bike now has the ability to add a freewheel rather than a coaster brake. Initially, it came with only a coaster brake option. 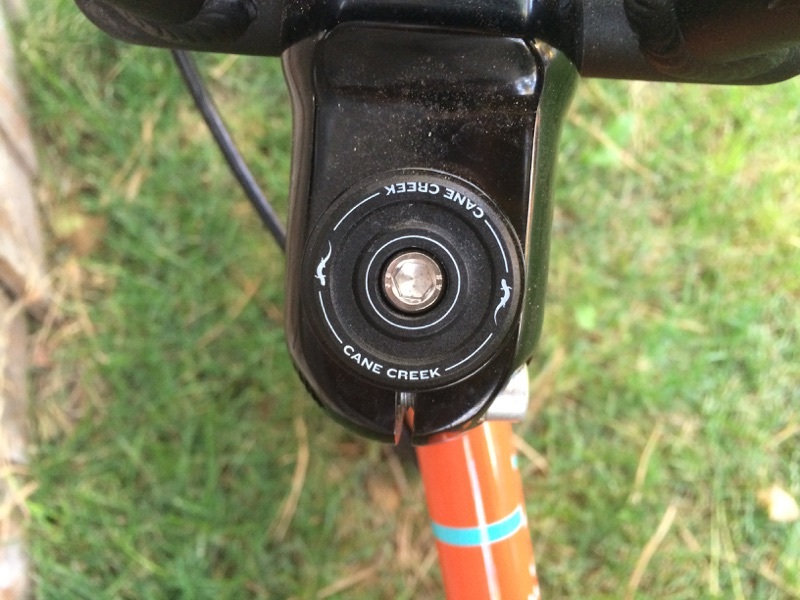 Coaster brakes make learning to pedal difficult and can be downright dangerous when riding off-road. You can read more about my opinions on coaster brakes here. If you do decide you would prefer a freewheel rather than a coaster, you’ll need to order the freehub wheel as an option–this will set you back an additional $20. Compared to other high quality 14″ bikes, the Pello Romper is a solid choice. Although it is quite a bit heavier than the Woom 2, for instance, it is also quite a bit cheaper. Out of all these bikes, the Romper has the fattest tires which makes it superior for off-road riding. The one downside compared to the other bikes is the obvious lack of dual hand brakes. The Pello Romper is an impressive, high-quality bike for young children. If you are a mountain biking family, you will love the off-road design and beefy tires. If you simply value quality, you will appreciate the lightweight aluminum frame and top-shelf components. And remember: don’t forget some tissues—chances are once you see this bike in person, you’ll start drooling like we did.